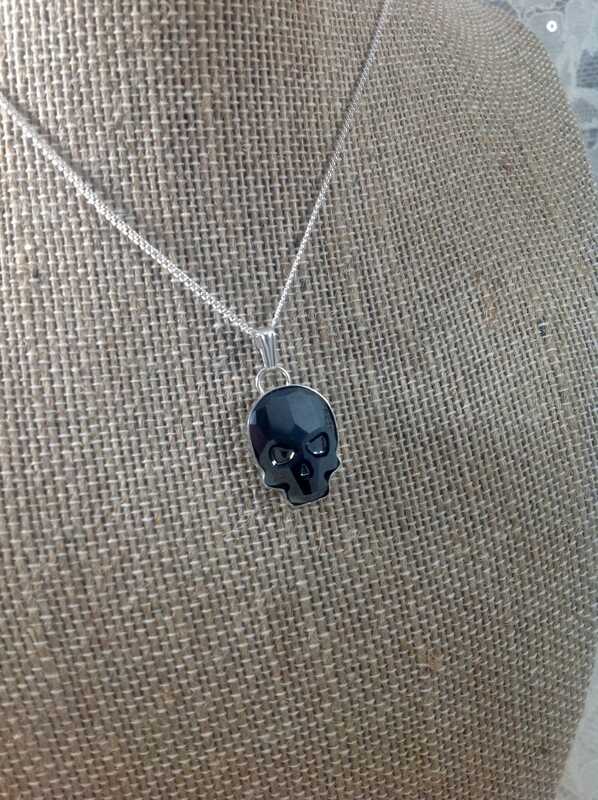 This is a beautiful Crystal Skull necklace made with a 18 X 14mm Swarovski Crystal. 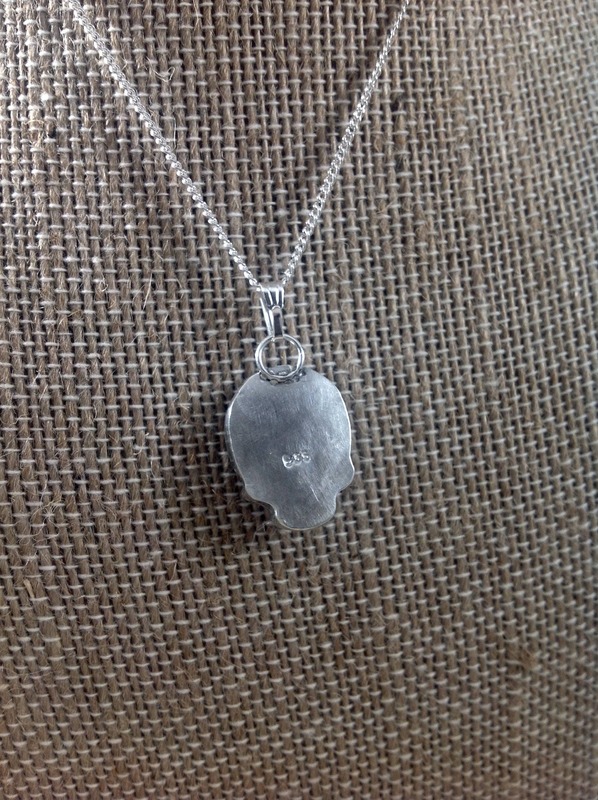 Set in a handcrafted Sterling silver setting. 18" plated chain included. The crystal color is Jet Black.